Are More Marvel Attractions Coming to Disneyland Paris? We love a good rumour, especially a rumour as exciting as this one! 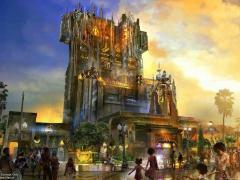 With Marvel attractions becoming such a huge part of the Disney parks, it’s hardly surprising that a load of new Marvel-themed attractions and entertainment are rumoured to be coming to Disneyland Paris.